A solid scanner which looks and feels great. One of the more affordable scanners on the market. A really easy device to use and understand. Can only be used with Toyota and Lexus. 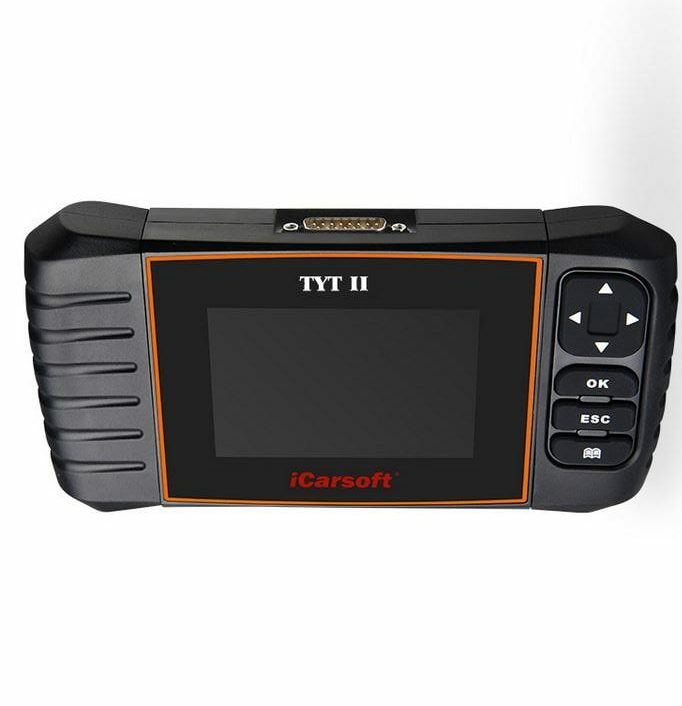 This review of the iCarsoft TYTII scanner gives you all the information you need to make an informed choice in a car scanner. There is a lot of scanner information out there, but we have taken the key features and functions so that you get all of the relevant data without the disinformation. We cover the important points and get rid of the fluff. By the time you get to our summary, you will know if this product is right for you. This scanner is specifically designed for Toyota and Lexus. With so many of those vehicles on the road, this device can diagnose and reset a lot of codes. You have the ability to read codes and diagnose the problem, or reset codes which are not an immediate problem such as the seatbelt light. This scanner is great for diagnosing complicated problems, which many generic scanners may miss. Complex codes can be read, diagnosed, and cleared. 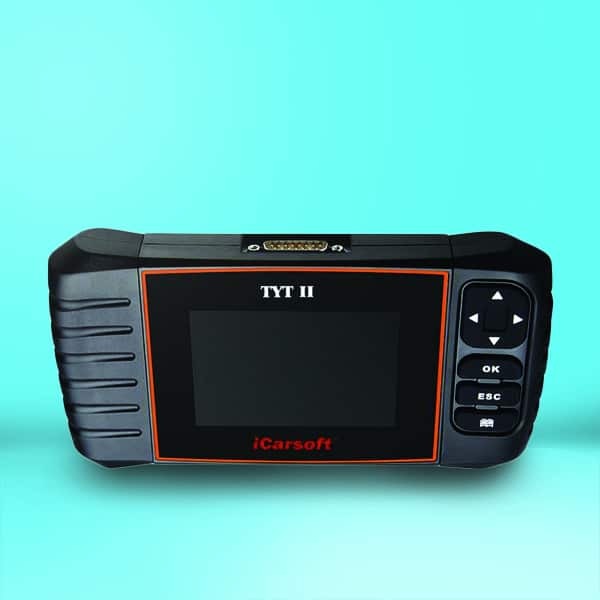 The richness of data displayed on the device is great for diagnosing and fixing your own vehicle problems. This device has been specifically created for Toyota and Lexus users. The focus of this device is highlighting common and complex problems which rise in these vehicles. The device is affordable, even when you compare it to generic scanners, and will save you a lot of money in diagnostics. The richness of the data will help you to fix your own vehicle. If you have some mechanic skills, then this device will complement them and save you money. Out of the box, you have the scanner itself, a detailed instruction manual which has everything you need to get your scanner up and running, a nylon carrying case to protect the device, a TF card, a TF card reader, and a USB cable. You also have the software pre-loaded onto the device, though you may have to update the software if your Toyota or Lexus is a newer model. With this device, you are easily able to read and clear codes. There are enough codes loaded onto the device that you will never miss a problem, and the display is clear enough for you to understand the information presented. For inexperienced users, the code and problem are easy to understand, and for experienced users, the information presented will help you to find and eliminate the problem. I/M readiness lets you check your emissions systems and decide whether the vehicle is operating as it should and if it is ready for inspection or maintenance. You also have access to the live data stream and freeze-frame data. If you have an emissions-related fault, then the freeze-frame data will pinpoint what it is. The O2 sensor test will give you access to more data related to your emissions. You are able to check and turn off multiple lights and warning sounds. If you do not yet have a problem, then those codes can be cleared in readiness for a real problem. You can also access your vehicle information. The live graphic data is also excellent for helping you to diagnose the exact problem in your vehicle and look for potential future problems. ​Can only be used with Toyota and Lexus. This is a great tool for Lexus and Toyota users. If you do purchase this device, you are not paying a lot more than most generic scanners (and in some cases, you are paying less), but you are getting advanced functionality in comparison. The device gives you all you need to diagnose your Toyota and Lexus and will display it in a way which is easy to understand for new and experienced users. You have a lot of power and functionality with this device.